Harley-Davidson is putting the Hog on a diet. That and more top money stories you need to know Tuesday. 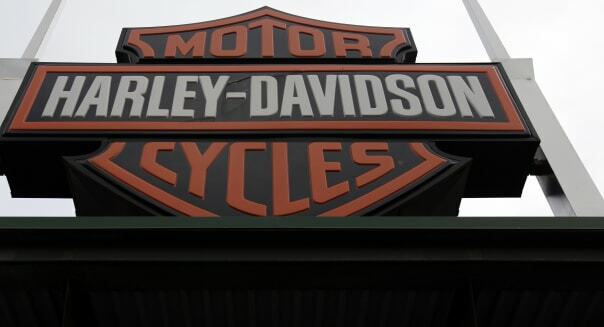 Harley-Davidson (HOG) will begin selling a pair of new, smaller motorcycles in the spring. They're designed for younger, urban riders who favor maneuverability over power. The new bikes have lighter frames and a narrower profile. There's a new king of the hill in mutual funds. Morningstar (MORN) has crowned Vanguard's Total Stock Market Index (VTSMX) as the world's biggest fund. That ends the five-year reign of Pimco's Total Return Fund (PTTRX), as investors have withdrawn $33 billion in investments so far this year. The Vanguard fund has returned 27 percent this year, while Pimco has a slightly negative return, due to weakness in bonds. The Dow Jones industrial average (^DJI) gained 23 points Monday, the Standard & Poor's 500 index (^GPSC) added 6 and the Nasdaq composite index (^IXIC) rose 14 points. Apple (AAPL) plans to hire 2,000 workers at a new plant in Mesa, Ariz. -- part of the company's effort to move production from China back to the U.S.
Keep an eye on these energy stocks Tuesday: Marathon Oil's (MRO) net easily topped expectations, but Anadarko Pete fell short of expectations, despite a 50 percent earnings increase. And Chevron (CVX) signed a $10 billion production-sharing accord for Ukrainian shale gas. What's rising at a faster pace: the cost of college, gasoline, food, or child care? It's no contest. A nonprofit research group says the cost of child care centers rose eight times faster than family incomes last year. Oregon, New York, Minnesota and Vermont were the least affordable states for child care. Despite the high cost, the study finds that caregivers are among the lowest paid professionals. Finally, this is a big day for gamers. Activision Blizzard's (ATVI) "Call of Duty: Ghosts" is now on sale. Analysts say the launch could rival the big numbers rung up last month by Take Two's "Grand Theft Auto V." It had a record $1 billion in sales in its first three days.